For use on perfect fit surfaces where a fast set is required. Bonds non porous surfaces such as most plastics, metals, glass, PVCu. High viscosity for a delayed set, and medium viscosity is for a fast set. 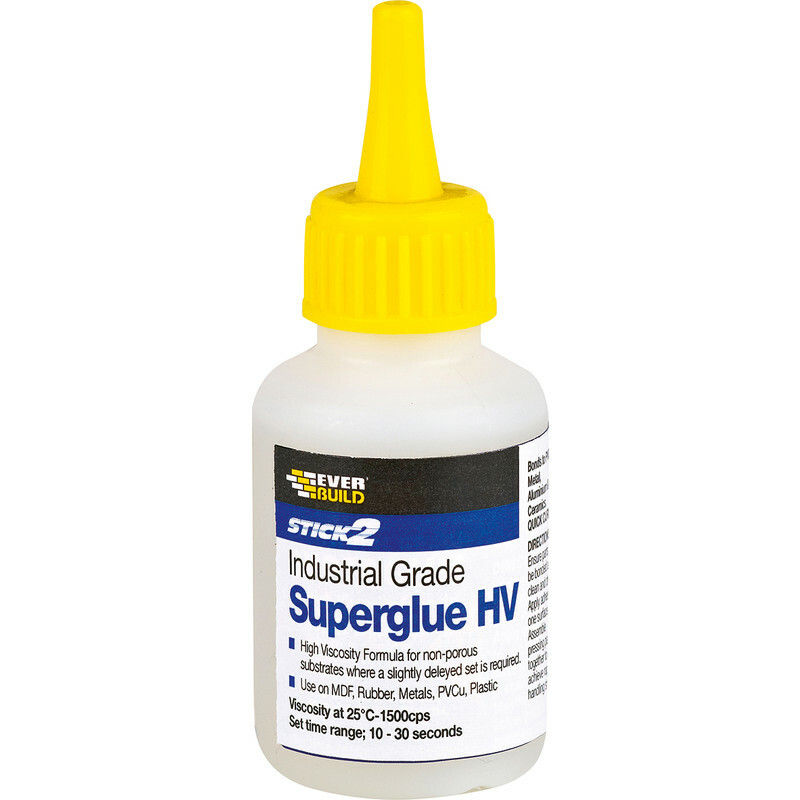 Superglue 20g High Visc - Thick is rated 4.7 out of 5 by 70. Rated 1 out of 5 by actiongirl5 from Is this meant to work???? I bought this de-bonder for the purpose of removing superglue, it didn't work for me on even light amounts of superglue on a lacquered surface. I persevered with the item to the point where I reapplied and nothing. I followed the instructions so I am not how people have managed to get this product to work but it did not work on the smallest amount of superglue.